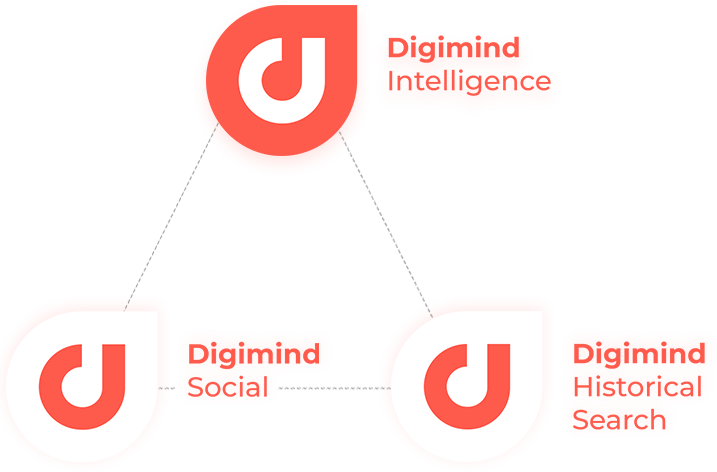 Discover how Digimind's Marketplace, a powerful application ecosystem, will change the way your organization manages Market Intelligence projects. Digital transformation has profoundly impacted the way Market Intelligence teams function and its role within the organization. 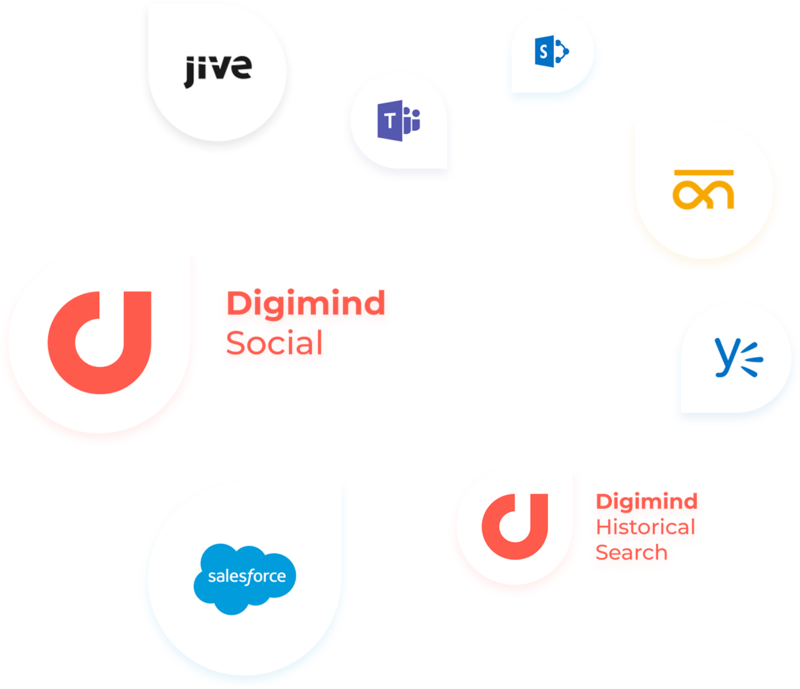 Business tools (Enterprise Social Networks, CRMs, CMS, Intranets) have multiplied, and information is spread across multiple channels in various formats. How can you capture all the relevant and available information, and disseminate it appropriately? The Digimind Marketplace is the answer to these challenges. 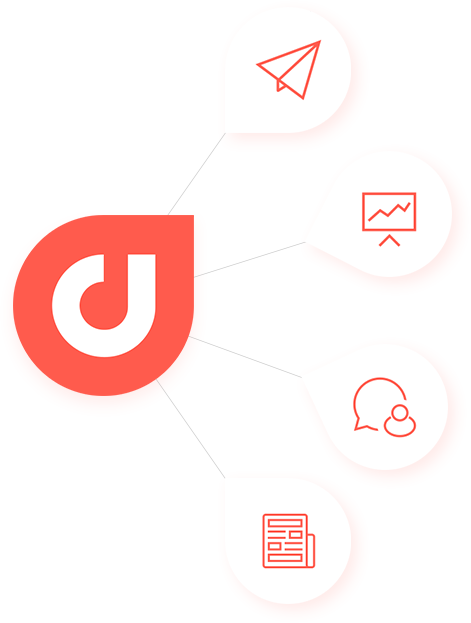 Digimind revolutionizes Market Intelligence by introducing a new way to capture and consume information, acting as a hive of collective intelligence. 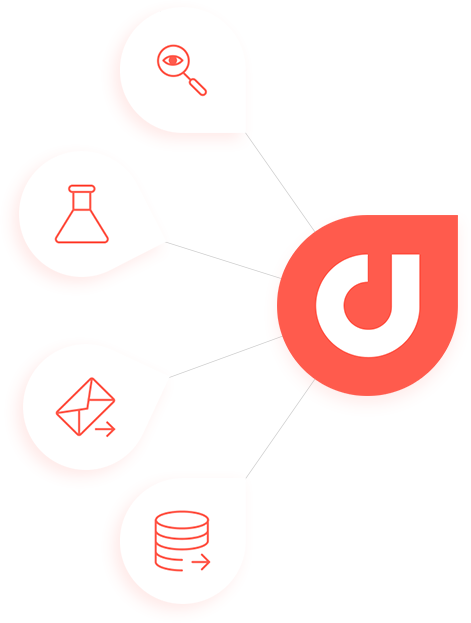 Want to enrich your Market Intelligence projects with social data? We've got you covered! Directly from Digimind Intelligence, you can in a single click log in to Digimind Social, our social media and web monitoring solution, and Digimind Historical Search, our social search platform with the same credentials. Emergence of social networks and the dark web in the last decade has changed the market intelligence landscape – making data collection even more complex. In addition, many professionals need to connect to specific data sources to capture relevant business information. By enabling integration with diverse and varied data sources, Digimind Marketplace allows you to set up an exhaustive and quality collection. Do you want to improve the dissemination of your Market Intelligence projects to business users beyond simply sending newsletters? 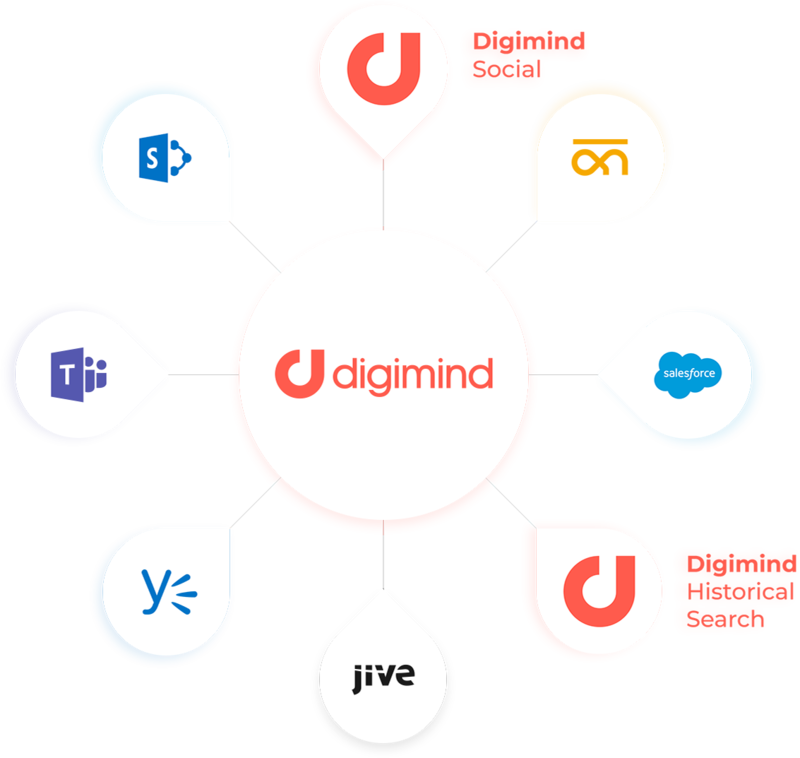 Digimind's Marketplace reduces technological barriers by feeding information directly from Digimind Intelligence into your intranet, enterprise social networks or CRM portals. Whether they’re traveling, working in your CRM or checking your enterprise social network, your business users will have access to strategic information provided by you, in one click, so they can make informed decisions with the most up-to-date and strategic knowledge.